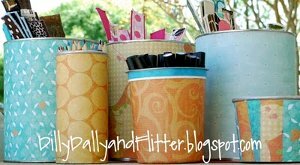 Recycle bins and containers for a fun, thrifty craft project that doubles as organization! 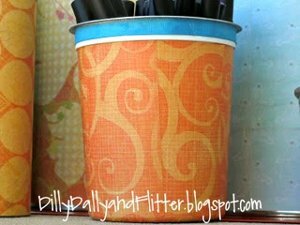 These upcycled containers are decoupaged with scrap paper and then put to use! 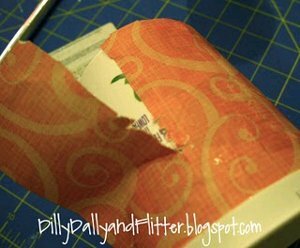 Cut a piece of scrap book paper to size of the container to cover. Slap the MP onto the can. Smooth it out with a credit card. These little containers can pose a little challenge because the top is larger than the bottom. I started off the same way as coffee can, but had to rip the paper up the sides to get them to lay smooth. 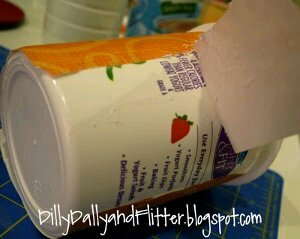 Continue to rip, MP and smooth the paper downward toward bottom of containers to prevent bubbles. The white bit at the top was not very pleasing (especially with the expiry date stamped on there)… so a little grosgrain ribbon solved that. The possibilities are endless when you craft using recycled materials. Use this list of 14 Easy to Make Water Bottle Crafts as inspiration and then dream up some upcycled projects of your own! I love ideas like this. 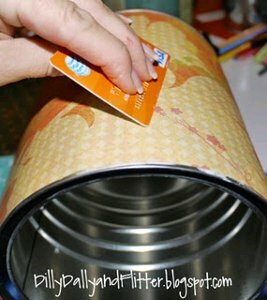 Fantastic way to upcycle food containers for use around the home, instead of purchasing the pre-made ones which will do the same job. The decoration can be more generic or rotated throughout the year depending on the season, too! Love it- so simple! 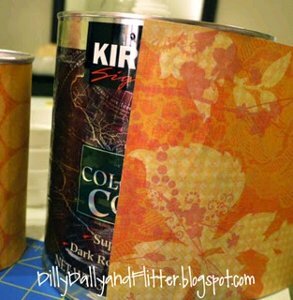 You could also just paint them, if you are really lazy or pressed for time or out of paper:) Also, you could print out photos of your pets/children, or artwork you like (paper ephemera or photos) and decoupage them onto the containers.